Ladies Pearl Bracelet with Engraving on Charm. 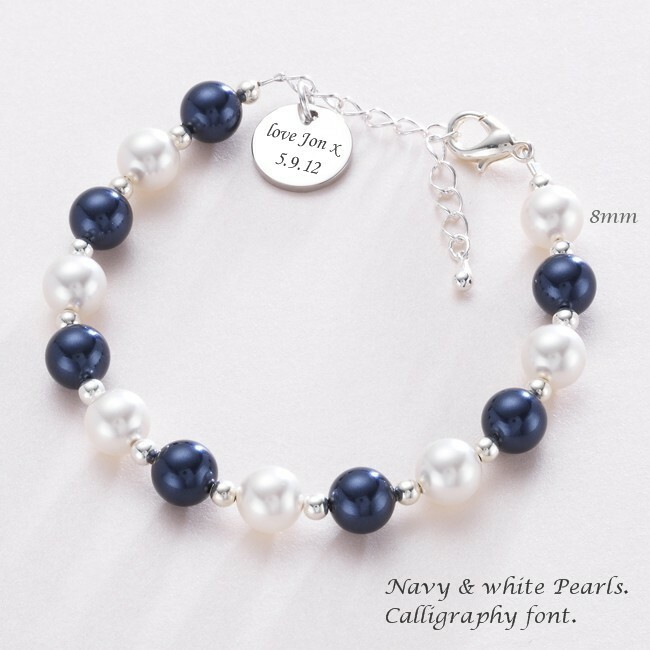 Ladies Pearl Remembrance Bracelet with Engraving on Heart or Disc Charm. 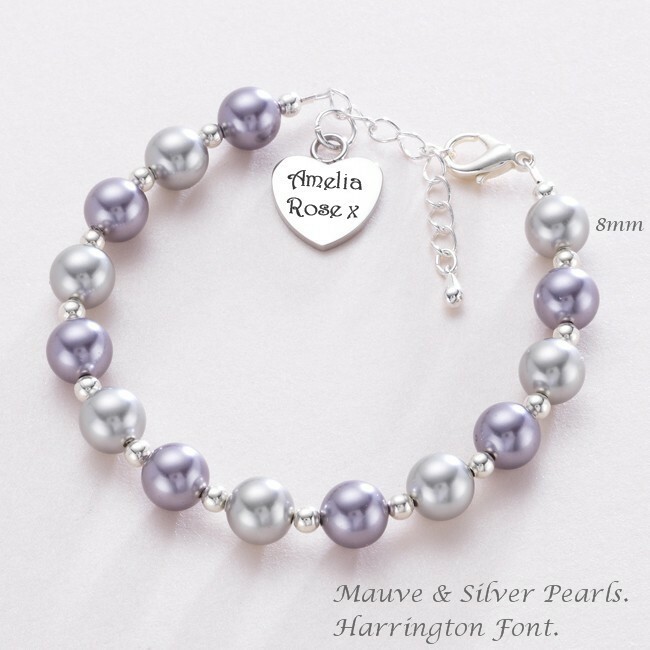 Each bracelet is handcrafted by us in our UK workshop so you can choose your pearl colous and we can engrave your choice of words, names or dats on the heart charm on either one side or both sides. This design features 8mm Swarovski pearls from Swarovki's Elements range which is renowned worldwide for being superb quality. Perfect as a sympathy gift for someone who is greiving to show then how much you care. 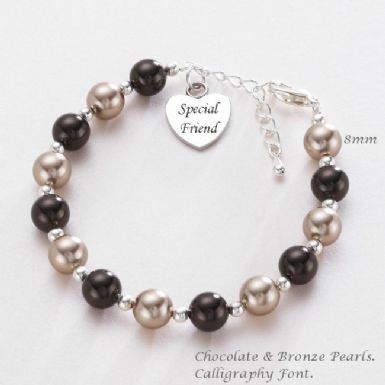 Ideal for engraving special names, dates, bible verses or other meaningful words. Up to 25 characters per side can be engraved on the heart or 20 characters on the round charm (including spaces) on this piece of remembrance jewellery. Size adjustable from adult size small to large so one size fits most women. Metal Parts: Stainless steel charm with good quality silver plated parts. 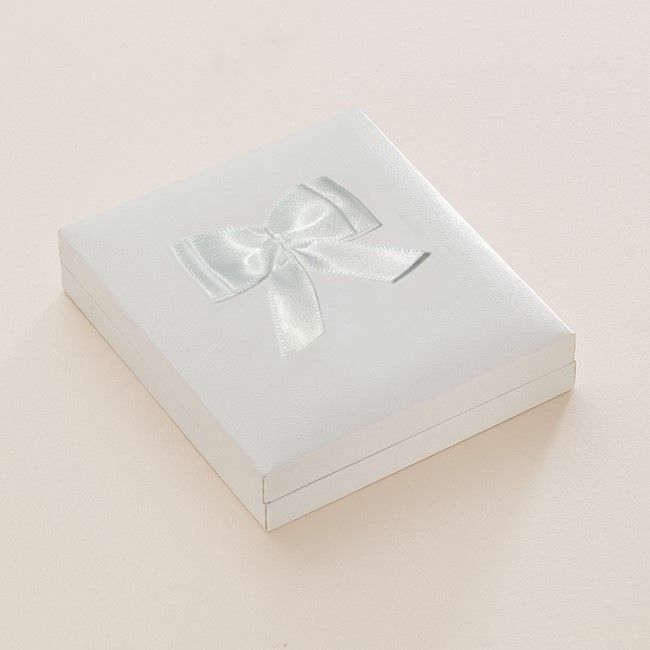 Presented in the deluxe gift box (padded and hinged) shown with a free "Thinking of you" gift card included in case you are buying this bracelet as a sympathy gift.